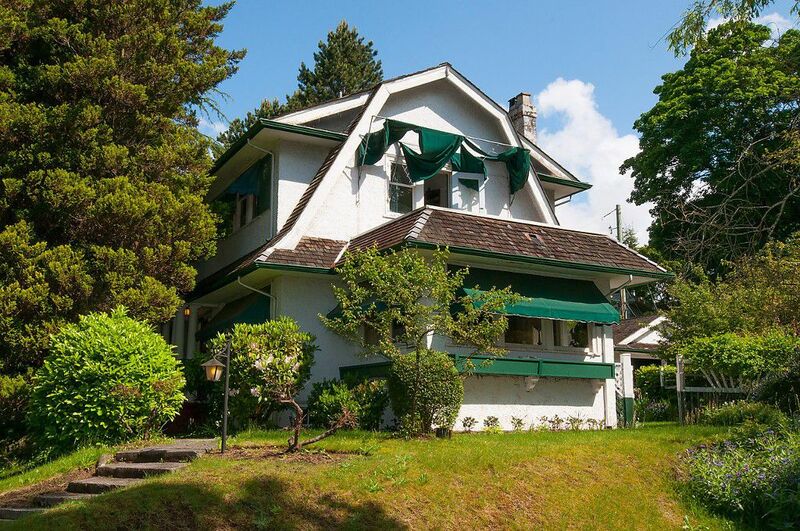 Terrific opportunity to restore this lovely home set on a magnificent 10,924 sq ft lot with beautiful gardens or build your dream home in this fabulous Quilchena location with less building restrictions but close to prime Shaughnessy neighbourhood. Entertainment sized living room with cross hall diningrm. Cozy den with wood burning fp & charming built-ins. Character abounds with classic leaded glass windows, Philippine Mahogany doors & oak hrdwd flrs with parquet entry. Upstairs offers 3 bdrms plus nursery space. Steps away from Arbutus Club & Quilchena Park. Walking distance to Arbutus Shopping & excellent schools including Shaughnessy Elementary, Prince of Wales, York House & Little Flower Academy.